This definitely sparked speculation that Diamond Platnumz was back to his old ways. However turned out that Diamond had already dumped her after starting a new relationship with Tanasha Donna. Anyway away from that Lyyn has now found herself in a difficult position as she is being accused of photoshopping her figure. 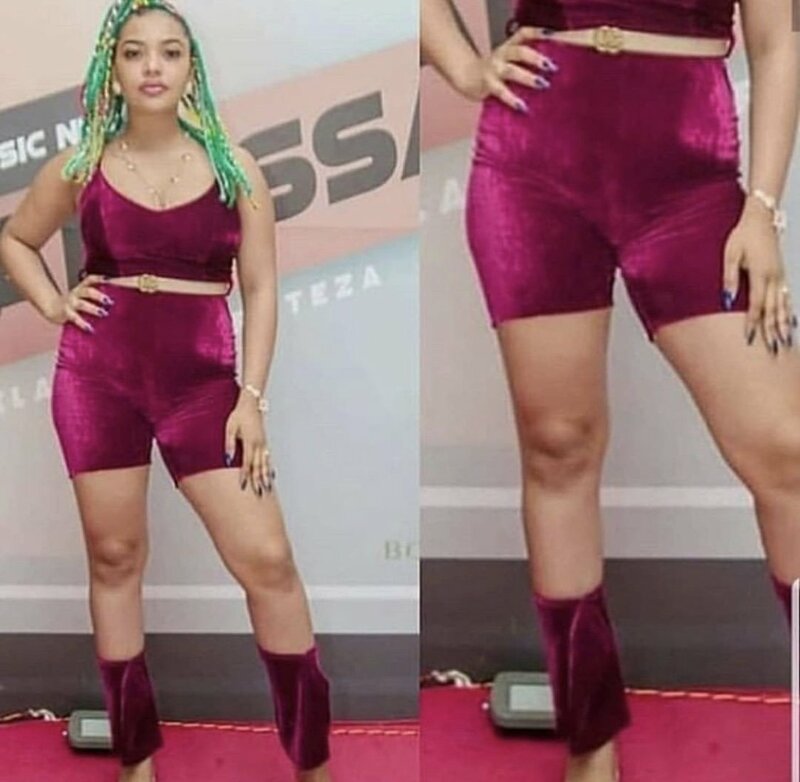 Apparently she is no different from most Tanzanian celebrities who like to edit their photos abit too much. Judging from her recent photo it’s clear to see that definitely Lyyn has added a few pounds here and there. Not quite sure whether if it’s from stress eating or if the photo was edited to fat shame her on Instagram…but you be the judge. Check out the photo below.